It can be difficult to know which printing equipment is best for your unique business. Oftentimes, businesses don’t take into account future growth. They end up purchasing machines that become obsolete within the year. Stargel Office Solutions help to determine the best printer for your specific needs. We take factors such as print volume and budget into account. 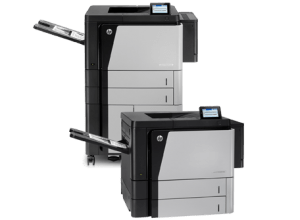 Choosing the correct printer for the job relies on the management of the devices on your network. From routine items such as toner and supply ordering to regular maintenance. The task of managing the printing equipment can be quite daunting. This is why we offer Managed Print Services. Managed Print Services provide your business with a single, low-cost approach to complete management. It covers your printers and multi-function devices. This ensures that your equipment is always well stocked and properly maintained. This minimizes potential downtime. We ensure that your printers are always operating at peak efficiency. Especially when you need them most. How many pages do you print on an average day? How fast do you need the device to print? Is the printer I am looking at easy to troubleshoot and manage? What is the total cost of ownership of the device? What types of security tools does the device offer? These are just a few questions to get you started. To learn more about which device is perfect for your office, please contact us today!